The Supreme Court has allowed an Advocate's petition against the demand for mandatory Aadhar details while applying for the post of Assistant Public Prosecutor (APP) after Orissa Public Service Commission (OPSC) agreed to remove the condition. 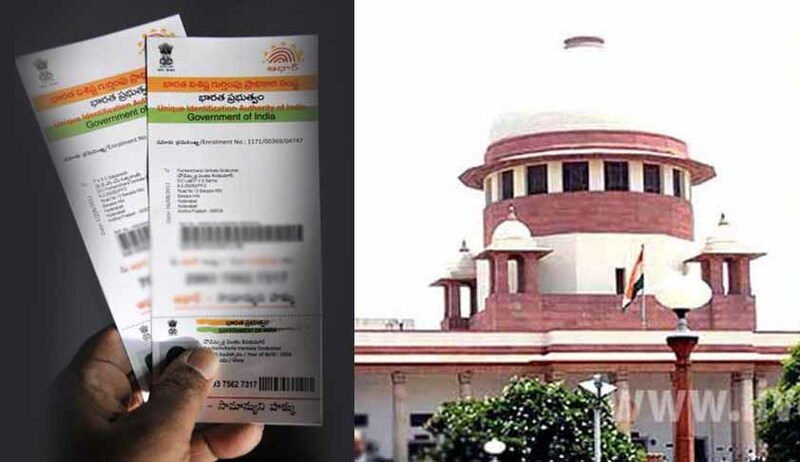 The Bench led by Justice AK Sikri was hearing a petition filed by Rana Pratap Bismal, a resident of Rayagada district of Odisha, contending that he was asked to provide Aadhaar details while applying for the post of assistant public prosecutor in Odisha. “Due to the compulsory requirement of the Odisha Public Service Commission, the petitioner herein is being coerced into obtaining an Aadhaar card in complete violation of his right to privacy and right to bodily integrity as enshrined under Article 21 of the Constitution of India. It is submitted that the mandatory requirement of the Public Service Commission is in violation of Article 14 as it creates an unnecessary distinction between the Aadhaar card holders and non-Aadhaar card holders,”, the petition stated. An advertisement was issued by OPSC on March 17 and applications were sought for the post of APP. The last date for applying online May 5.